Usually when someone writes “seduction” and “jerk” in the same sentence, they’re either referring to some jackass who broke their heart, or a date with a bottle of lotion. 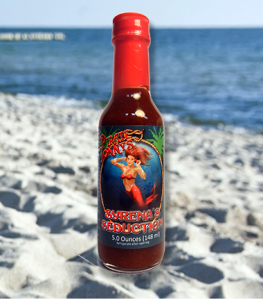 Not when it comes to the sweet awesome that is Pirate Johnny’s Syrena’s Seduction Jamaican Jerk Hot Sauce, though. It’s a Jamaican-inspired sweet heat that’s long on island flavor with a mild to moderate burn. Not only that, it was Pirate Johnny’s first attempt at creating a hot sauce. I’ve talked about the company’s spice rubs before. This sauce is my favorite of their products (so far). It surfs the knife’s edge between sweet and heat like a pro; balance is key to the best sauces and rubs. Pirate Johnny’s bull’s eyed the mark with Syrena’s Seduction in my opinion. It definitely works magic with pork, poultry, or fish. I don’t think it plays well with red meat, although that’s a hunch. I’m going to try it with hot wings next. 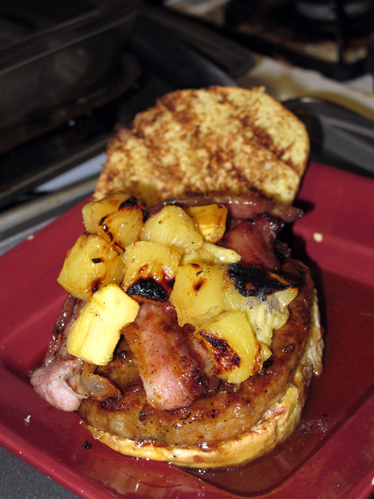 This test flight, I put Syrena through her paces on andouille sausage burgers with bacon, grilled pineapple, and mango. Place the patties, bacon, and pineapple slices on the grill. Cover them. Flip after 4-5 minutes. Cover again. Remove the pineapple, bacon, and sausage. Chop the pineapple and mix it with the mango. Grill the buns for 30 seconds. Remove the buns. Slide the burgers onto them. Pour on the Syrena's Seduction. 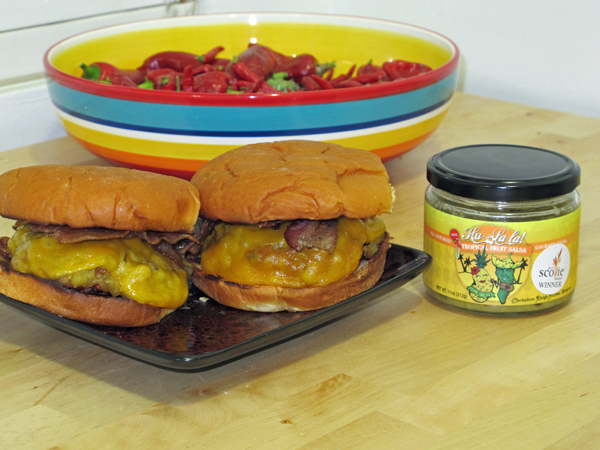 I used about a tablespoon per burger. 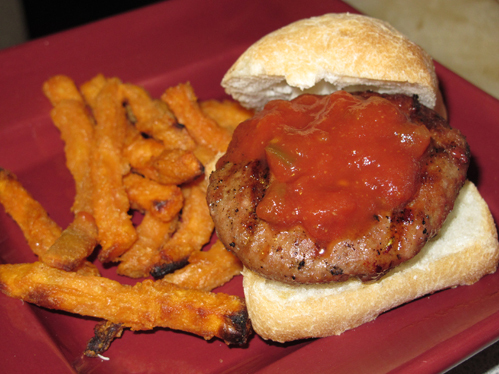 Top the patties with the fruit mixture and serve.